XVC290 was the very last bus of the middle batch of CVG6 buses. The batch was delivered in two parts, in 1971 and 1972. It was the first batch to be delivered with the Manchester Front. 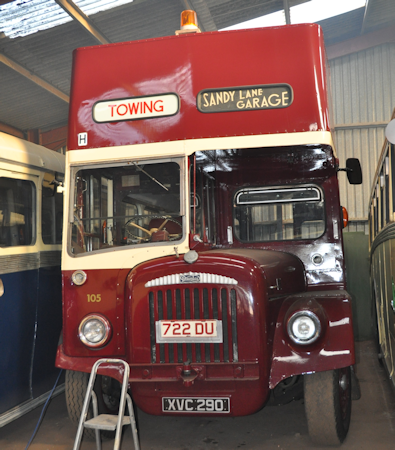 290 was retired from service after Coventry Corporation Transport Department had been transferred to WMPTE. After retirement from service, it was cut down, converted to a garage tow vehicle and renumbered 105. It had to be fitted with ballast boxes and a rear door before it became an effective towing vehicle.